New York now ranks at No. 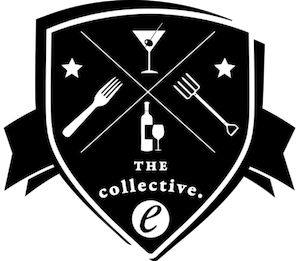 5 in the U.S. for number of craft beverage producers across categories, and every region of the state has seen an increase in the number of makers. Kings County Distillery brought whiskey back to Brooklyn, a boom that’s been aided by the Craft New York Act of 2014. Photo by Valery Rizzo. We know the story: New York State was once crawling with distilleries, and Prohibition decimated the entire industry. That only started to really change with the 2007 Farm Distillery Act, which built upon the 1976 Farm Winery Act, and the Craft New York Act in 2014, signed by Governor Andrew Cuomo, further lifted burdensome restrictions and increased investment in the production and marketing of New York–made craft beverages. Yesterday it was announced via press release that since 2014, there has been 50 percent growth in the state’s craft beverage industry. “The 2014 Craft Act cut burdensome requirements placed on producers and eased restrictions regarding the marketing of craft products by: relaxing rules for conducting on and off-site tastings and sales; providing additional opportunities for small manufacturers to reach new customers; increasing annual production limits while keeping licensing fees low; allowing farm distilleries to open a no-fee offsite branch location; and launching a $2 million Craft Beverage Marketing and Promotion Grant Program and a $1 million Craft Beverage Industry Tourism Promotion Grant,” the release read. This means that New York now ranks at No. 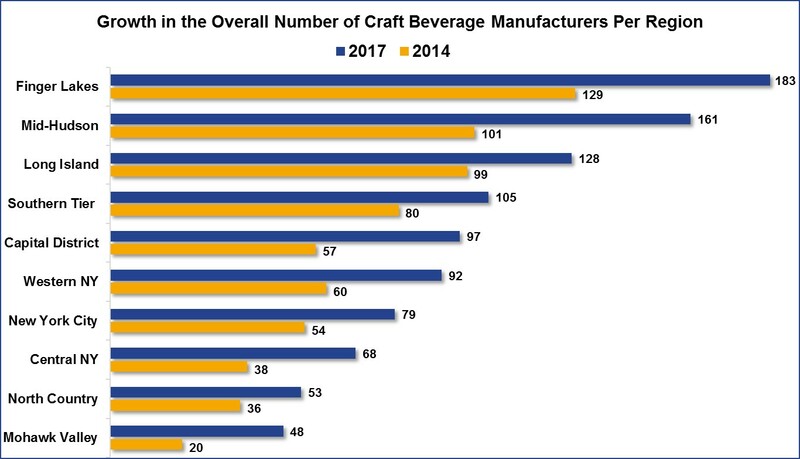 5 in the U.S. for number of craft beverage producers across categories, and every region of the state has seen an increase in the number of makers. From Kings County Distillery and Van Brunt Stillhouse, to Forthave, MOTO and Owney’s, Brooklyn has been especially lucky. Cardiff Giant, a bar serving only New York–made spirits, beers and wines, exists in Clinton Hill. The craft beer boom has been too immense to contain to one line. Now we have the numbers to back up what we’ve been seeing and sipping. As the release notes, “The changes have not only ushered in an explosion in the craft industry, but have also generated employment and economic development for supporting industries, including bottling, construction, freight, printing and advertising.” We’ll drink to that.